The McBride School of Irish dancing offers Irish Dance classes for beginners through championship. Boys and girls are welcome ages 4 years and up. The McBride School is pleased to announce that registration for our New Beginner Irish Dance Classes at the Grand Theatre for the Arts is now open. Ready to take that First Step to Learn Irish Dancing? Click HERE to be re-directed to the Tracy Grand Theatre Center for the Arts to register for classes. 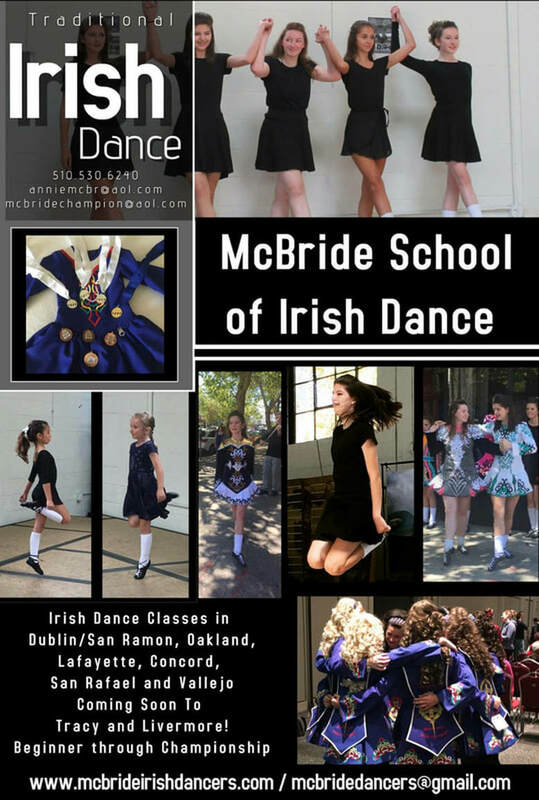 All Dancers attending classes through the Tracy Grand Theatre Center for the Arts are Members of the McBride School of Irish Dance and eligible for performances and competition, if desired. We will post the Guide when it is available.